water works family aquatic center Will Open for the season on Saturday, May 25, 2019! Nestled in our beautiful Water Works Park, the aquatic center has something for all ages! Keep cool in the lazy river, workout in the deep end, or find fun on our exhilarating slides, you will want Water Works Family Aquatic Center to be a regular summer stop for you and your family. We're ready for another great year! Click here to learn more about the Water Works Family Aquatic Center's summer schedule. Please note that a valid, PHYSICAL government issued photo ID (i.e. Driver's License, Military ID, Passport, State Issued ID) is required for daily visits and to purchase annual memberships for everyone 16 years and older - DIGITAL COPIES WILL NOT BE ACCEPTED. Visit Parks & Recreation Online Services for instructions on how to renew your membership online. 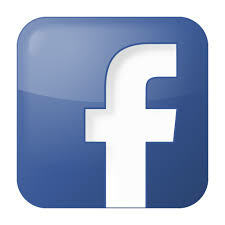 Follow Water Works Family Aquatic Center on Facebook!